Can a “problem” with gravity be solved by creation cosmologies? Could creation cosmologies shed light on recent unexplained phenomena in our solar system? Several space anomalies have been reported in the last two decades—several recently near earth. The standard cosmological models have no explanation for these anomalies and certainly did not predict them. Creation cosmologies, including white-hole cosmology, have hypothesized these anomalies and offer a possible explanation. It has the makings of a science fiction movie: in the farthest reaches of our solar system, scientists discover spacecraft acting mysteriously and other unexplained phenomena—and now these strange happenings are spreading closer to home. However, this is not the plot for some space opera; this is the focus of a recent news story concerning unexpected anomalies in the motion of several space probes. Could a creation-based cosmological model hold the answer? A bit of history might help explain the import of this finding. If you have followed astronomy, there’s a chance you may have heard of a phenomenon known as the “Pioneer anomaly.” Named for the Pioneer 10 and 11 spacecraft, this anomaly has garnered much press over the last two decades or so, primarily because mainstream science has yet to come up with an explanation. To put it succinctly, the Pioneer spacecraft are inexplicably slowing down (accelerating sunward) for some unknown reason.2 While it would be easy to dismiss such an anomaly as stemming from a mundane mechanical or non-novel physical cause (mathematical or data errors, gas leaks, effect of solar wind or dark matter), similar findings for other spacecraft (e.g., Ulysses and Galileo) help establish the anomaly as something that must be accounted for.3 That is, it is easier to dismiss something as trivial and, in this case, more likely due to individual spacecraft malfunction if it is only seen in a small sample; however, when we have a larger sample, the results are more likely to be significant. Many people incorrectly picture the big bang this way: a gigantic explosion pushed matter and energy out from a central location—like ripples moving outward after a stone splashes into a pond. However, the standard big bang model does not actually allow for a center or edges of the universe that things proceed away from or toward. Instead, picture space-time as the surface of a balloon, with all known galaxies lying on the surface of the balloon (that is, all of known space is the surface of the balloon, not the inside of the balloon). There is no “center” to the surface of a balloon nor are there any edges. If someone were to inflate the balloon slowly, all the galaxies on the balloon’s surface would move farther away from each other, yet there would be no center for any to move farther away from, nor an edge for any to move closer to. Furthermore, without any center or edge, a hypothetical astronomer in each galaxy would see roughly the same number of other galaxies as any other hypothetical astronomer would; there wouldn’t be galaxies near an edge whose astronomers would have little in the night sky to see, nor galaxies in the center that would be surrounded by comparatively more galaxies. The idea that earth is at or near the center of the universe out of billions of galaxies is obviously unpalatable for anyone who denies purpose and design. But there’s another answer. Yes, it could be that the universe is pretty much the same everywhere, as the big bang’s balloon-surface model says. But under the pond-ripples model, there is one place where the distribution of galaxies would look uniform: at or near the center. But the idea that earth is at or near the center of the universe out of billions of galaxies is obviously unpalatable for anyone who denies purpose and design; thus, the big bang model was founded and is sustained on the assumption that since earth “cannot possibly” be at or near the center (as this would suggest purpose), the universe must be “isotropic” (homogeneous throughout—the balloon model). The commitment of most secular astronomers and astrophysicists is to fit the data to this preexisting framework that earth cannot be in any way special. That is, even if the findings were to imply that it is somehow a one-of-a-kind planet, as they do, they are not allowed to speculate in that regard.8 In contrast, many creation cosmologies appear to be more consistent with the evidence, since they begin with the assumption that earth is indeed in a special place in the universe. This is certainly not a biblical necessity, but it would make sense given that earth is the focus of God’s attention and plan of salvation. Dr. Humphreys’ cosmology begins with this assumption and envisions earth at the bottom of a gravity well (the point where the stone struck and sent out ripples). Specifically, if earth is at or near the center of the universe and if there is some form of time dilation (whether from a white hole [a black hole in reverse] or another method), we would expect to see the anomalous behavior of spacecraft as they move out from the gravity well. That is what makes these new space probe anomalies interesting. While the Pioneer spacecraft were affected far from earth, these recent probes show the anomaly can be local as well. Creation cosmologies, giving earth a special place in the universe, can predict and account for various phenomena that the big bang model needs ad hoc stories to explain away. While we should be cautiously optimistic, there is still insufficient data to come to a firm conclusion. After all, there may be factors involved that we do not know at present. 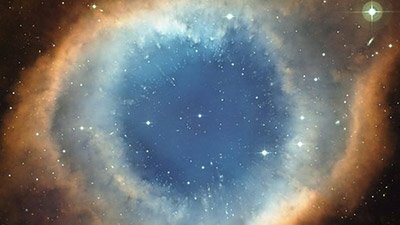 However, this “mystery” does present an interesting test case for creation cosmologies and highlights the research being done to understand the first six days of creation and distant starlight. Obviously, there are other possible reasons for the anomalies, including prosaic ones—though the mounting evidence seems to suggest otherwise. But creation cosmologies, giving earth a special place in the universe, can predict and account for various phenomena that the big bang model needs ad hoc stories to explain away. Ultimately, the main point to remember is that any theory or model based on human conjecture of how God formed the universe is fallible because it depends on our limited understanding. Various creation cosmologies may very well be bolstered by these probe anomalies, and certainly these models are built upon the foundation of God’s Word. But they also depend somewhat upon conjecture into the past. Further research is assuredly needed and will be presented (e.g., at the International Conference on Creationism), but we must always keep in mind that the true authority is the One who “laid the cornerstone [of the earth], when the morning stars sang together, and all the sons of God shouted for joy” ( Job 38:6–7 ). Charles Q. Choi, “NASA Baffled by Force Acting on Space Probe,” MSNBC, http://www.msnbc.msn.com/id/23410705/. Tariz Malik, “Newfound Data Could Solve NASA’s Great Gravity Mystery,” Space.com, http://www.space.com/scienceastronomy/070327_scitues_pioneeranom.html. D. Russell Humphreys, “Creation Cosmologies Solve Spacecraft Mystery,” ICR, http://www.icr.org/article/3472/. For other examples see John G. Hartnett, “A New Cosmology: Solution to the Starlight Travel Time Problem,” JoC 17 no. 2 (2003): 98–102; Stuart Burgess, He Made the Stars Also, (Day One Publications, 2001); and Robert Newton (Jason Lisle), “Distant Starlight and Genesis: Conventions of Time Measurement,” JoC 15 no. 1: 80–85. D. Russell Humphreys, Starlight and Time (Green Forest: Arkansas: MasterBooks, 2003), p. 88. 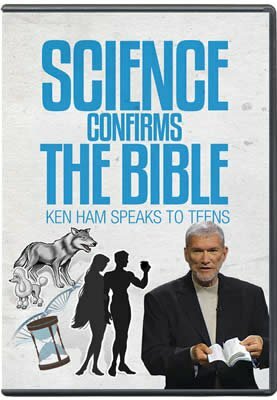 Aside from this, there are also some serious scientific problems with the big bang (see Does the Big Bang Fit with the Bible?). However, as with evolutionary theory, just-so stories can be and have been invented to explain away these problems—and we must remember that it’s not the data itself that we should necessarily question; it’s the a priori beliefs and interpretations based on those beliefs. In fact, when astronomers do make such a claim, they are likely to lose their jobs at secular universities because of heavy-handed discrimination. See News to Note, May 19, 2007, item #7. Russell Humphreys, “Creationist Cosmologies Explain the Anomalous Acceleration of Pioneer Spacecraft,” JoC 21 no. 2 (2007), p.65.